In 2017/18 MG India became the largest importer of sunflower oil, while in 2007/08 was not even in the TOP 10. In second place - the EU, which in the season of 2007/08 has taken a leading position. The three of leaders was closed by China, which like India, 10 years ago was not included in the list of major importers. About Middle East Grains&Oils Congress, said General Secretary of the International Association of sunflower oil (ISOA) Svetlana Sinkovskaya. Also, according to her, during the last 10 years of the status of the third largest producer of sunflower oil on the world market Ukraine in 2017/18 MG became leader, with production of 18.2 million tons, overtaking Russia and the EU, which in 2007/08 GM took 1st and 2nd place respectively in terms of production. "If to speak only about Ukrainian market of sunflower oil in 2017/18 MG, the main volumes were shipped to India with a share of supply in 46%, EU 25% and China – 9%. Among the main companies exporting this product, the TOP-3 included Kernel, Bunge and MHP. At the same time, Ukraine ugrojaet mostly raw (92%) oil in bulk (97%)", - said S. Sinkovsky. 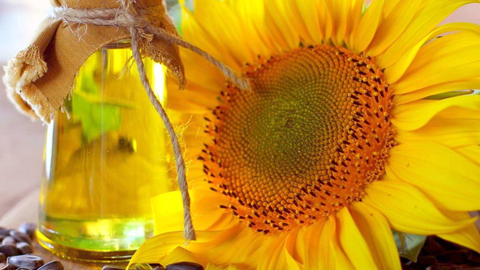 The expert also noted that in 2018/19 MG sunflower seed production in Ukraine is estimated at 14.9 million tonnes (+11% annually), production of sunflower oil 6.4 million tonnes (+12%), and its exports may increase to 5.9 million tonnes (+11%).